Mature cats still have so much to offer. Although they might have clocked up a few years, there is still a lof of life to share. They can be homely and extremely generous in their affections, and just want a comfortable, safe, loving home in which to enjoy life. Sadly, these qualities are often overlooked and they can become long-term residents in care. Freddie is a handsome ten-year-old ginger and white boy. Life is a bit of a struggle for him at the Centre, as he is quite nervous, and hides at the back of his pen. We are looking for owners who can be patient with Freddie and give him the time he needs to develop and gain his confidence. 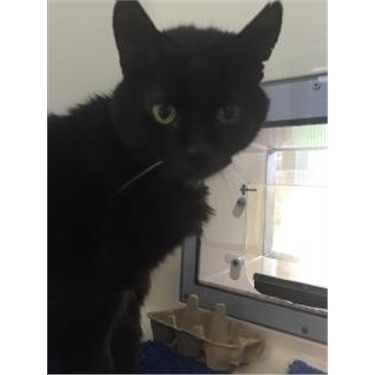 A home with an outbuilding could be a good starter for Freddie, so he would not be too overwhelmed, and it would will allow him the space and freedom to adjust to his new life. He could take time to build relations and trust and, with a little time, he could move into the home. Wispa is a gorgeous ten-year-old ginger chap. Oh, yes: he has three legs. He lost his leg due to an injury but that doesn’t slow him down at all. He has adjusted well and has learnt to balance on his back legs while he has a little wash.
As always, you can be confident that our vets have given all our cats a thorough health check, so you will have an up-to-date record of their health from the moment you chose to adopt them. Also, our cats all come with four weeks free pet insurance with PetPlan, which is guaranteed to continue regardless of your cat's age, if you so wish. Many other insurance companies do not insure older cats, which is why we chose PetPlan as our partner. When you take out insurance after the initial four weeks, you will receive another four weeks free, plus the NCAC will benefit from a percentage each time you renew your policy. Older cats make lovely companions and still have a lot to offer. They tend to go out less, so you have the privilege of their company more. Their hunting days may well be behind them too - although some older cats do flout the rules and are not prepared to give in to their old age. Just like humans. All they are looking for is love and companionship, food in their tummy and a feeling of safety and security in a warm home. Please consider an older cat when thinking about a new addition to your family. They have a lot of love still to share. Giving an older cat another chance in life is the true meaning of rescue.